Coordinating change management often involves multiple teams from you (the provider), your customer, and sometimes even third-party consultants. Keeping everyone in sync is time-consuming as information is often scattered across emails and templates. Eliminate the confusion by using Pipeline bundles to store data centrally and sharing it with everyone: your teams, your customers, and even third-parties. The success of your product's or service's roll-out is often dependent on teams and people outside of your control. Sometimes, you may even have to work with consultants who are not familiar with your product or service. Any delay, misunderstandings or miscommunications on their part can negatively impact your brand and reputation. Eliminate mistakes by creating structured workflows with clearly identified roles and responsibilities and order of operations for all parties involved. Trying to gauge the progress of adoption in your customer's organization is extremely challenging for you as the provider because you lack real-time visibility. 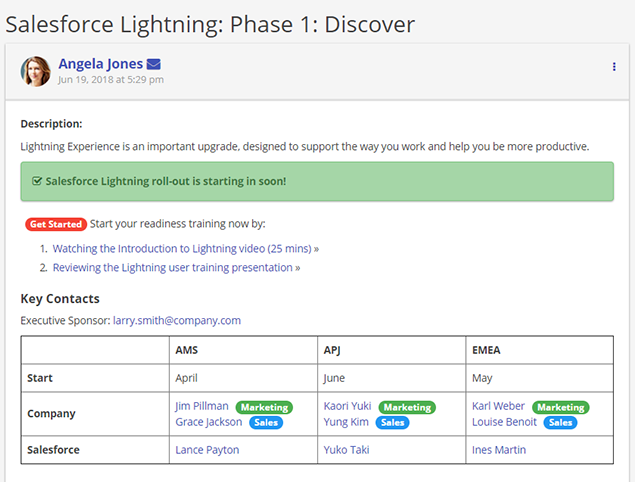 You are often at the mercy of manual updates sent via emails or spreadsheets. Take control and gain real-time visibility by creating requests to manage your adoption process. 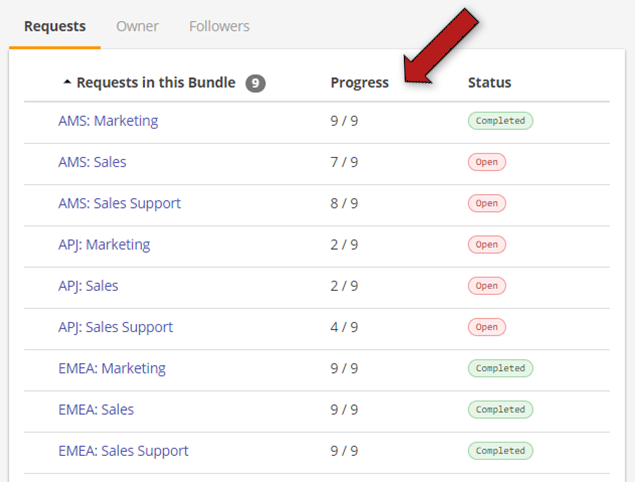 Group those request into bundles and share them with your customer. 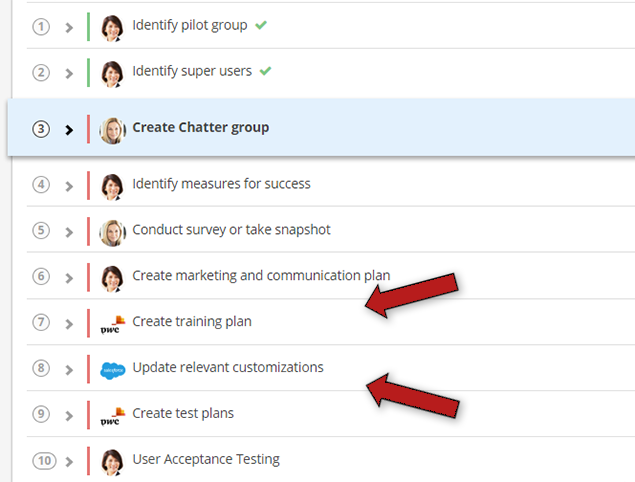 Then, you can jointly monitor progress with your customer and be proactive if you see issues.